Starring Frank Morgan, this show is light heartedly funny and is strikingly similar in tone to the beloved show, Our Miss Brooks. Sponsored by Lucky Strike cigarettes, The Fabulous Dr. Tweedy, stars Frank Morgan as Thaddeus Q. Tweedy. The show filled the summer replacement slot for the Jack Benny Program and is also called The Frank Morgan show. 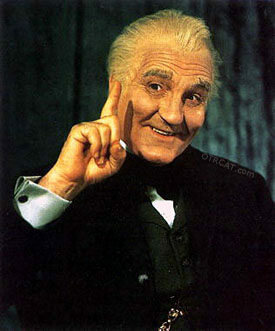 Frank Morgan is best known for his multiple roles in the Wizard of Oz as Professor Marvel the carnival worker, the gatekeeper of the Emerald City, the driver of the carriage drawn by "The Horse of a Different Color", the armed guard leading to the wizard's hall, and the Wizard himself. The shows are filled with a unique assortment of characters including the assistant Timothy Welby, a former homeless person and prizefighter. The delightful and talented Harry von Zell comically portrays Welby. Dr. Tweedy is the dean of an all men's college called Potts College and loving father of adopted son, Sidney. The show is light heartedly funny and is strikingly similar in tone to the beloved show, Our Miss Brooks. Be the first to comment on "Fabulous Mr Tweedy"